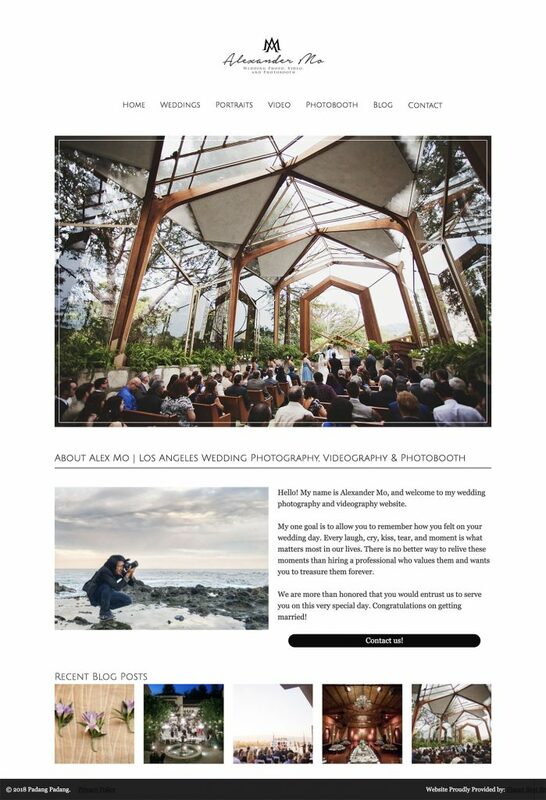 Padang Padang - Flaunt Sites - Photography Websites, Simplified. Many thanks to Alexander Mo for the photography. Padang Padang is designed to match the power and simplicity of one of Bali’s cleanest barreling waves. Drop in… Race through the tube… Get shot out in glory. Built in slideshow to show off the best of your best! Call to action under the About section, let potential clients know they can contact you right away. Recent blog posts in a grid below so visitors can become familiar with your work. Services section to make it clear to your clients what you shoot, Weddings, Portraits, etc.